Virgin America has posted an interesting new video on YouTube, portraying what it's like to fly on the average airline from coast to coast for 6 hours. 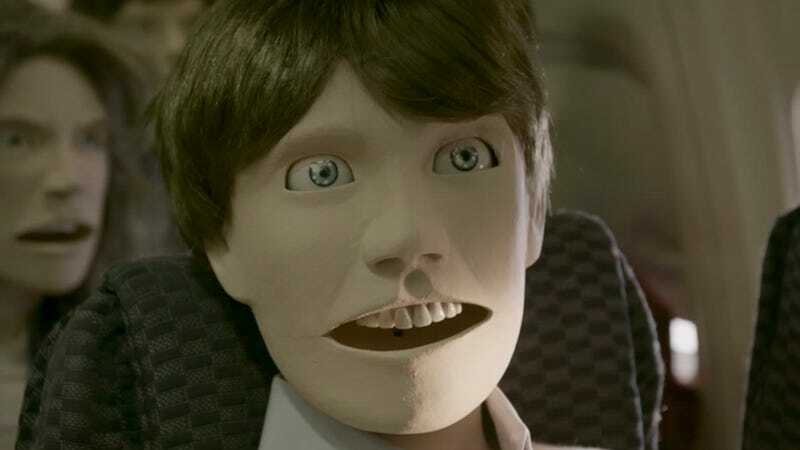 The video uses creepy moving mannequins as passengers, and takes us through all of the terrible scenarios we dread. The video begins with a look at the seat back in front of us, as a child screams and rocks the seat with no attention or correction from its parents. The chatty nerd in the window seat says to let him know if his abnormally-long arms encroach into our space, while the ditzy blonde in the aisle seat plays with her hair. We haven't taken off. A flight attendant comes on the PA system, welcoming us on board "Blah Airlines" from Newark to San Francisco, followed by the pilot who is obviously tired and confused as to where he's flying us today. After those first few minutes, I don't really know what happens. I wasn't willing to take one for the team and watch the entire 5 hours and 45 minutes, but if you're able to suffer through it, please let the rest of us know how it goes. In what I did watch, they pretty much nailed what it feels like to make a cross-country flight in coach, but I found the mannequins to be awkwardly creepy. Not scary-creepy, just annoying. If one really wanted to take a deeper look at it, you could argue that we're all an airline's "puppets" while up there at 39,000 feet.